Daniel Jacoby, Mountain Plain Mountain, 2016. In collaboration with Yu Araki. Courtesy: Fundació Joan Miró, Barcelona. Daniel Jacoby (Peru/The Netherlands) in his practice embraces the inexplicable. 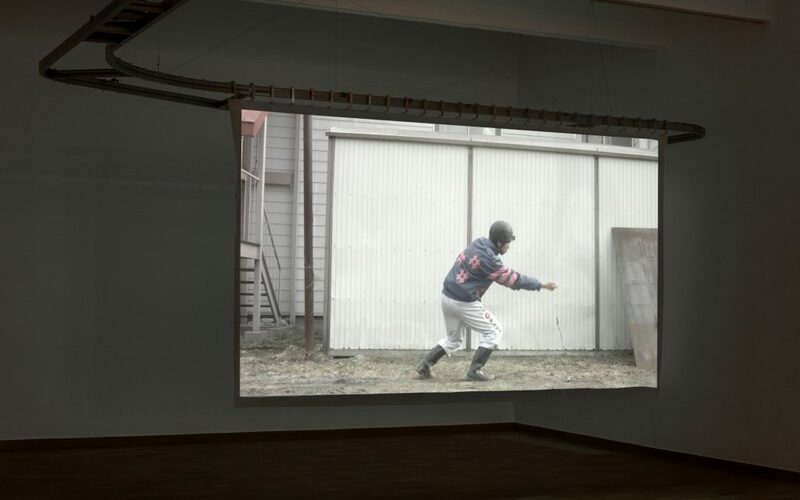 In his films and installations, Daniel uses abstract narratives to wonder around the paths of uncanny situations, approach subjects from unorthodox perspectives, and rejoice in the ambiguity of things: the letters from a man living in a small town in Hokkaido who believes to be half potato; the last standing venue for an uncommon modality of draft horse races in decadence; the ingenious, flattened clothing shop displays of a small business in Lima; a misunderstanding around the eatable part of a rare fruit. The themes are varied, as are the strategies required, to deal with their particularities. Whilst at Delfina Foundation, Daniel will experiment with the idea of conspiracy theories as a genre of fiction. Daniel graduated in fine arts from the University of Barcelona and furthered his education at the Städelschule in Frankfurt. Recent exhibitions include venues like Fundació Joan Miró (Barcelona), CRAC Alsace (Altkirch), EYE Film Institute (Amsterdam), The Banff Centre (Alberta), Kunsthal Chalottenborg (Copenhagen), Palais de Tokyo (Paris), Kunstverein Harburger Bahnhof (Hamburg), 1646 (The Hague), Trafó (Budapest), and the 11th Cuenca Biennial (Ecuador). His films have been programmed in festivals such as 25FPS (Zagreb), BIM (Buenos Aires), MIEFF (Moscow), Go Short (Nijmegen), Sheffield Fringe (UK), Videobrasil (Sao Paulo), Les Rencontres Internationales (Paris), and Cairo Video Festival (Cairo). His film Jagata won the National Competition at Lima Independiente (Peru) in 2016. Daniel has participated in residency programs Jan van Eyck Academie (Maastricht), Casino Luxembourg (Luxembourg), Tokyo Wonder Site (Tokyo), among other places.